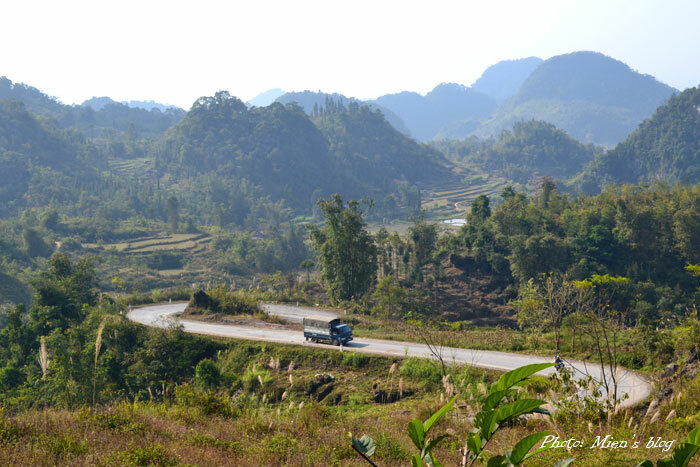 My first motorbike road trip of 2015 was to Ha Giang, a place claimed by many as “the most beautiful part of Vietnam”, which I totally endorse. The trip was friggin cold though.. Before setting off I recalled the cold we went through 2 years ago in another new year road trip and equipped myself carefully with multiple layers of clothes, 2 pairs of socks and 2 pairs of gloves. However, they didn’t help much when the mist came down at night. Honestly, the -20 degree Celsius in Poland that I experienced wasn’t as fearful as that mountainous chilly mist. We drove our bikes for a total of 1,100 km (~684 miles) during 5 days across Ha Giang city, Meo Vac town, Dong Van rock plateau, and then straight to Ban Gioc waterfalls in Cao Bang (my second time here) before heading back to Hanoi. This is personally my longest road trip and the nature was also one of the most spectacular. 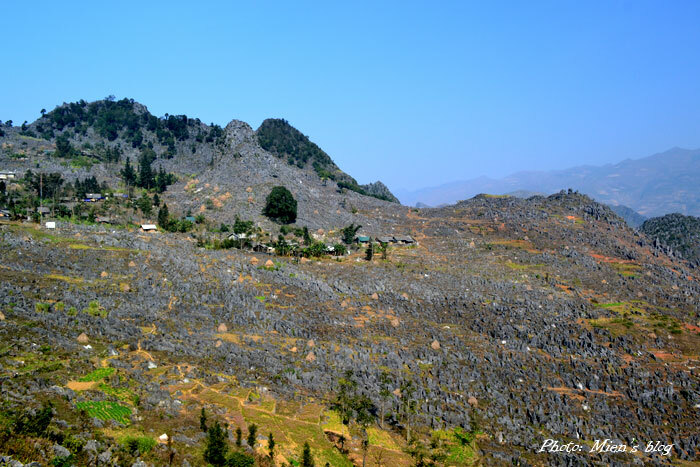 The first day was tough, it was 300 km (186 miles) from Hanoi to Ha Giang and took us almost 10 hours. 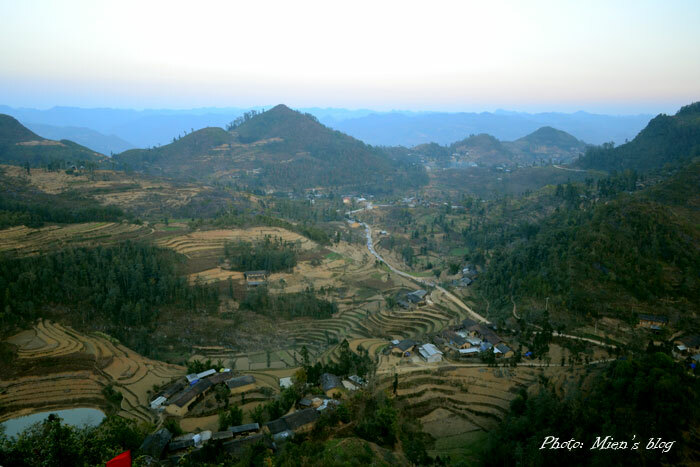 We started in Hanoi from 2.30 pm and arrived in Ha Giang just in time to celebrate new year 2015 at the farthest Northern point of Vietnam (km 0). This long drive was brutal, mostly because of the thick fog and the freezing weather. We also couldn’t enjoy much of the scenery since it was already dark when we approached the mountain part of the route. 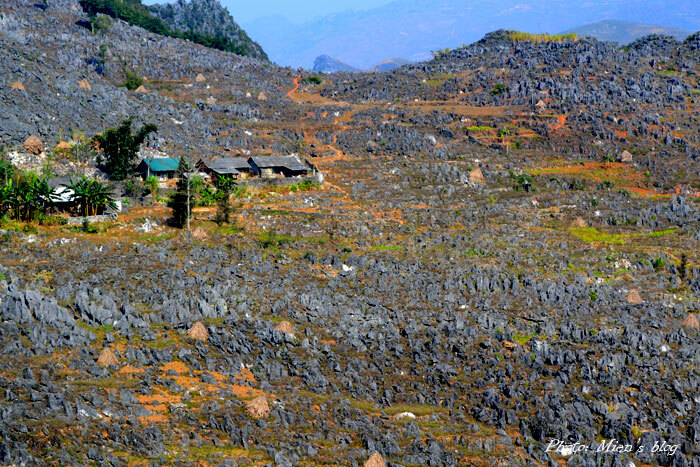 Thus, next time going to Ha Giang I think I’ll skip this drive, take a night bus instead and rent a motorbike from there. The next day was beautiful. It was sunny all the way. 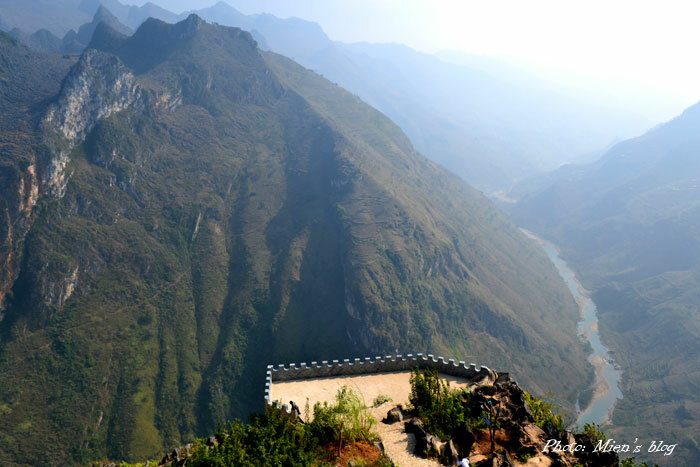 We drove past Yen Minh, which is said to be the longest pine forest in Vietnam, the H’Mong King’s residence, numerous breath-taking rocky mountains and magnificent valleys and ended at Lung Cu flag tower, where we had a wonderful panoramic view of Vietnam’s farthest north natural beauty. 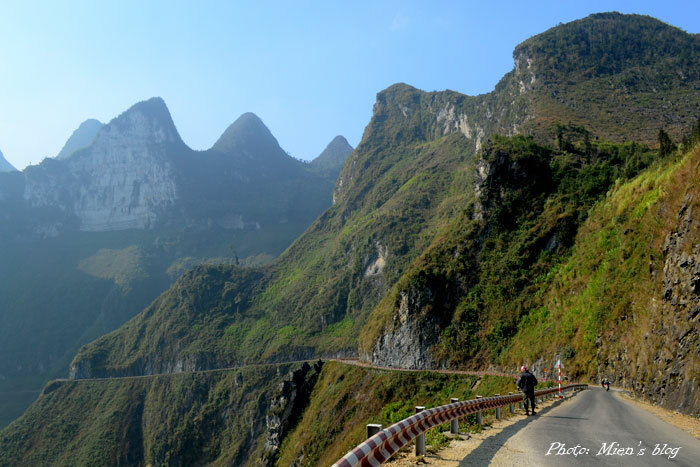 Highlight of the third day was Ma Pi Leng, one of the “fantastic four” mountain passes in Vietnam. I have been to the other three (O Quy Ho, Khau Pha and Pha Din) and before Ma Pi Leng, I never thought I could see anything more gorgeous than O Quy Ho. 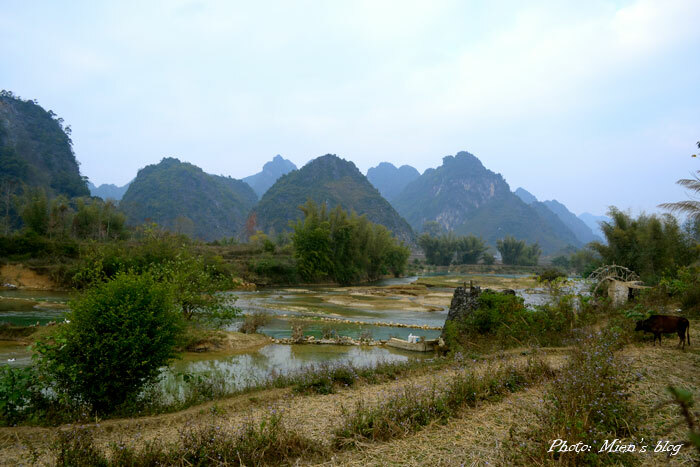 But now, I’m totally uncertain and will need to go back to O Quy Ho, look at it again to make the final judgement. This is just to say: you seriously HAVE TO see Ma Pi Leng. No photos can ever describe its splendor. 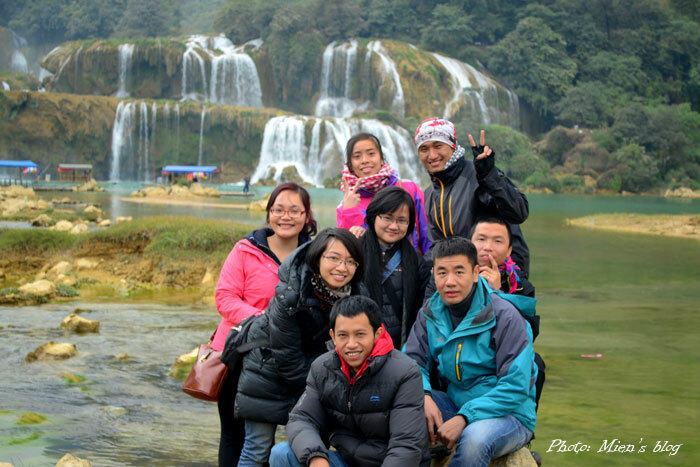 On day four we left Ha Giang for Ban Gioc waterfalls in Cao Bang. Honestly speaking I was amazed by how poor the services were. 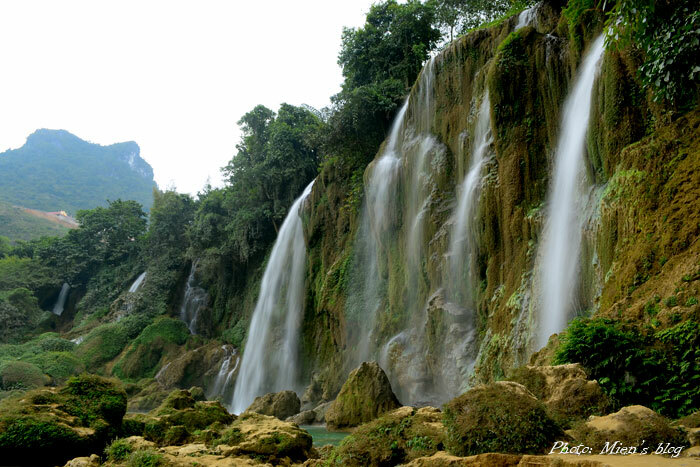 When I came here 2 years ago there was no road from Cao Bang to Ban Gioc (100km) but only scattered paths. 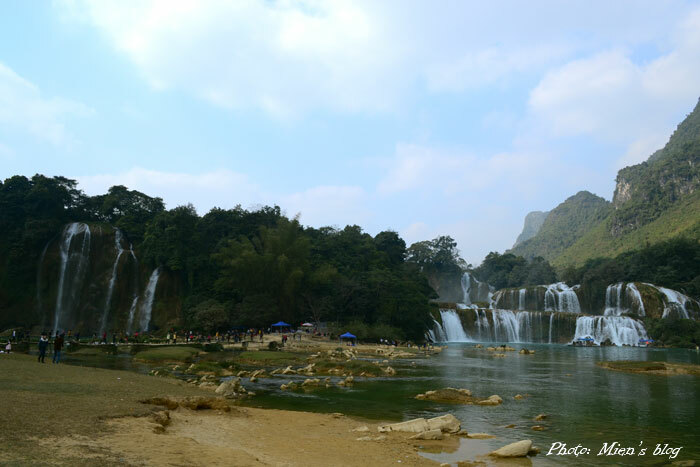 Nowadays the road has been finished, turning Ban Gioc into an important destination for tourists to Cao Bang, but the administrators still didn’t bother building a proper toilet, among many other inconvenience. Anyway, we did enjoy our do-it-yourself lunch and I could also capture the beauty of the waterfalls at their best. One important note: the last 30 km to Ban Gioc was beautiful and sometimes looked like European autumn with green and yellow forest, blue streams and numerous small hills. We arrived in Hanoi on Sunday night, coincidentally also the inauguration day of the new international terminal at Noi Bai Airport and the new Nhat Tan bridge across the Red River. The road trip was tough but was really exciting as well. 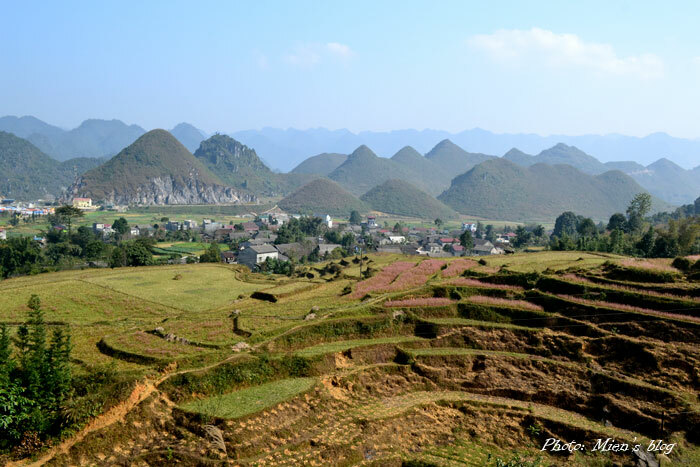 And no doubt, Ha Giang has become one of my favorite destinations in the whole country for now. 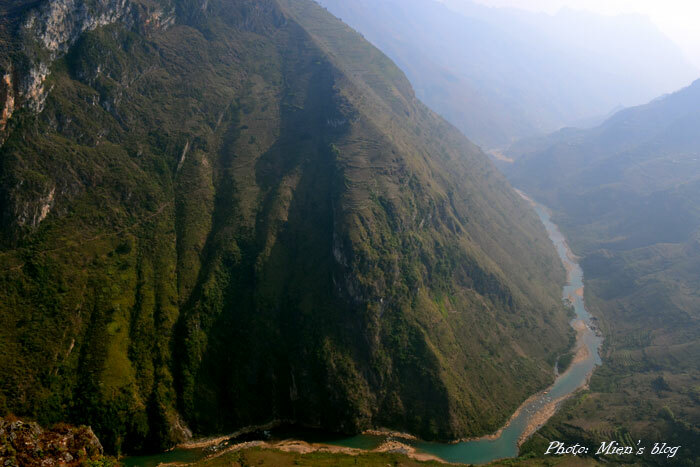 Finally, I’d like to end my road trip blog with a video trailer from a filmmaker friend who has just finished his narrative documentary about Ha Giang. Hopefully, we’ll see his film premiered in an international film festival somewhere soon. This entry was posted in Vietnam, Vietnam Travels and tagged Motorbike, Road Trip, Vietnam Travels. I took a 2 day North-East Vietnam Motorbike Tour with Zonitrip, first day was a Hanoi city tour at night and the second day was a full day tour into the country side. Both experiences were fantastic. Nghia was very good at making sure we all knew how to properly handle the bikes before he took us into the city traffic. He was able to guide us through the traffic very well. If you are nervous about driving a motorbike in Hanoi don’t be, it’s surprisingly safe once you figure out how it works. Nghia will make sure you are well taken care of. Highly recommend his company and private tours. 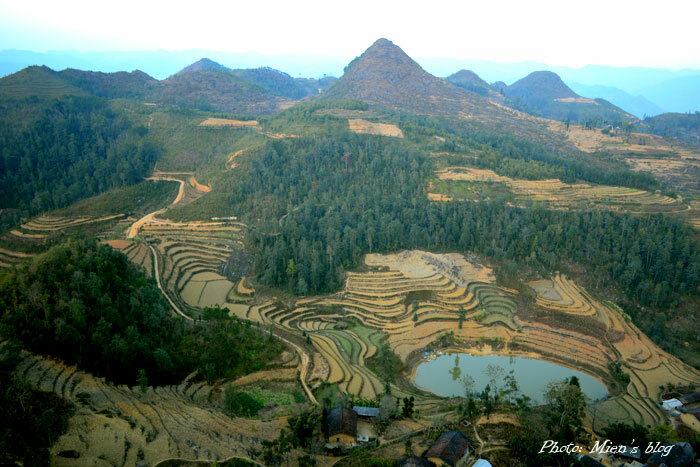 We will back for a Northern Vietnam longer tour. Hi David, thanks for visiting my blog. So far I have never got sick during my travels, luckily. I rarely take vaccinations before travelling. Got travel insurance but never have to use it (and hope it stays that way). The only time I’ve had to take vaccination was for yellow fever when I travelled to Kenya recently (will have a blog about it coming soon), because it is required – they may check the yellow fever vaccination certificate at the border and if you fail to show the certificate you might be denied entry. Because I’m from Vietnam and am used to less hygienic condition & remarkable risk of tropical diseases for my whole life, my immunity can be high when travelling in Asia and Africa in general. It can get very cold. I don’t think it’s colder than 0 degree celcius, but remember that you will be driving motorbike against the winds. I wore 3 layers, including a very thick winter jacket. Was still shivering to be honest.. However, early December should not be very cold (I went in late January). You can always buy more clothes if you need. Hi there, thank you for your blog and beautiful photos. 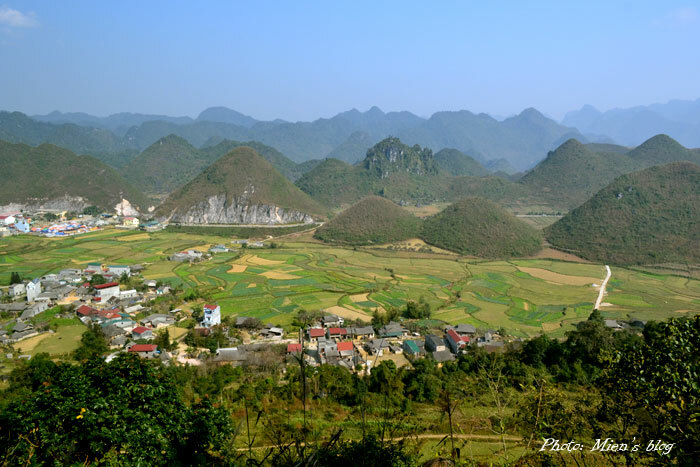 I am about to motorbike from cao bang to ha giang. What is your experience of the state of the roads? Are there villages where accommodation can be found? I am traveling solo so am a wee bit apprehensive.